NOTE: This article references an older hosting product. 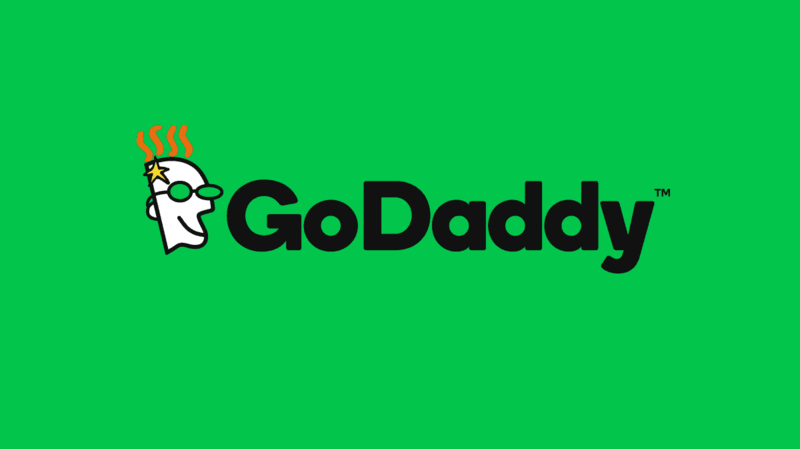 I recently wrote a review on the new & improved GoDaddy Pro WordPress Hosting, released in October 2017, along with updated pricing and an honest look at GoDaddy’s commitment to WordPress. You should check it out. 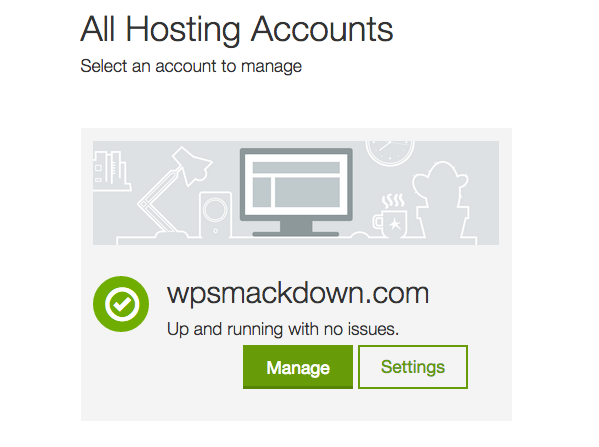 This is part 2 of migrating your site to GoDaddy’s WordPress hosting. Read part 1 which talked about selecting a plan, activating the service & moving your files and database onto GoDaddy’s server. This final part will cover the DNS settings that you’ll need to make in order for your site to be completely migrated. NOTE: DNS can be managed in different ways, but it’s usually managed by your domain registrar. In this example, I’m using GoDaddy’s DNS manager, and assuming you had previously pointed your A records to another server. If you bought your domain from someone other than GoDaddy, or you manage your DNS with a different provider, your steps will be the same, but the screenshots below will look different. GoDaddy is currently offering new .com/.net domains for $8.99. I manage all of my domains with them, and their domain/DNS control panel is one of the best out there. They also don’t charge you extra for simple things like redirects. There are a few more steps to finish migrating your site. They deal with your domain name & DNS settings. This will get slightly technical, but no advanced knowledge is required. 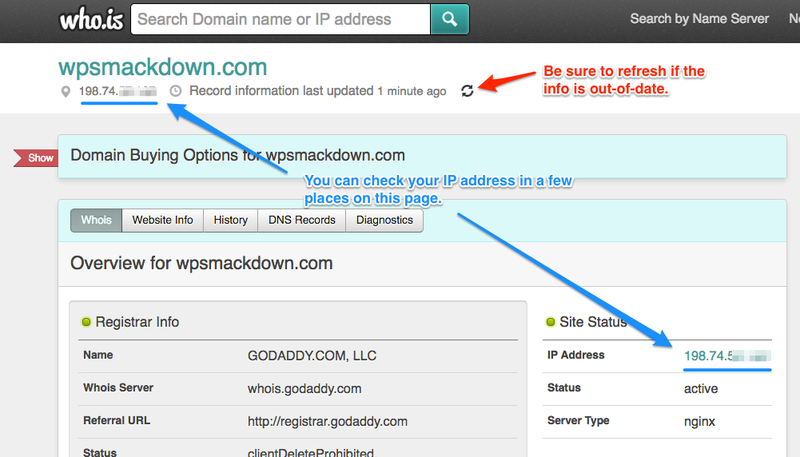 Use the “Settings” button to edit your domain, database, DNS, etc. Click on Settings and you’ll land on the default tab, which is for Domain. 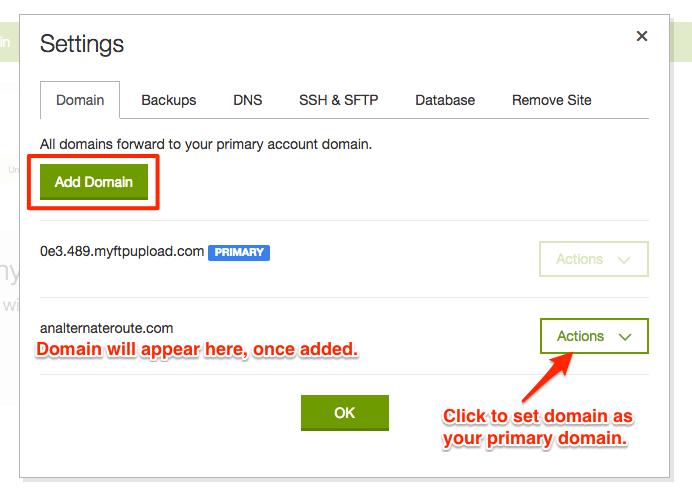 Add your domain, and then use the “Actions” button to set it as your primary domain. The next step(s) could vary, depending on where you registered your domain and/or manage your DNS. Stay within the Settings, and navigate to the DNS tab. 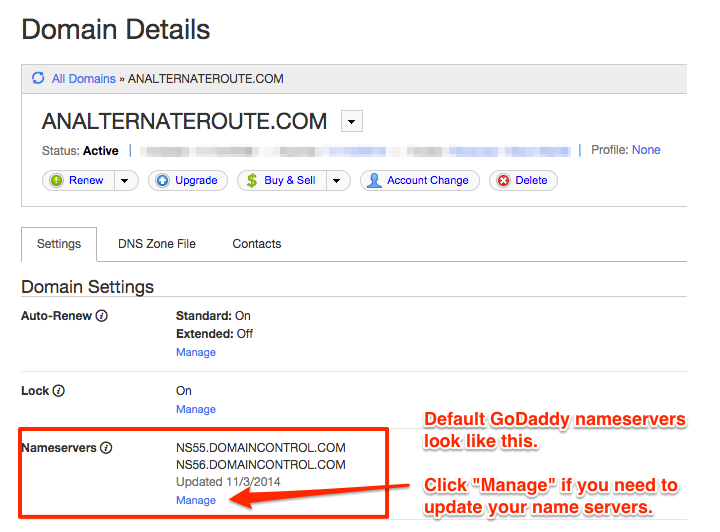 In your GoDaddy hosting control panel, click the “Settings” button, and then look for the “DNS” tab. GoDaddy will tell you what your A record should look like. It should point to an IP address. Copy this value because you will need it in a second. Your nameservers should look like the screenshot below. GoDaddy’s default nameservers will typically use “domaincontrol.com.” This assumes you’re using GoDaddy as your domain registrar. …you’ll need to login to your DNS control panel, and edit your A record. It may take an hour (or 2 or 3) for this change to take effect, but once it does, your site will now be live on your new GoDaddy WordPress hosting. Although you just changed web hosts, nothing actually changed with how your site looks or functions. How do you confirm that the DNS has updated and your site was successfully moved? There are free web tools that will lookup some basic information about your site, including your site’s IP address. I prefer to use who.is. If you have any questions about the setup, let us know in the comments. 17 Commentson "GoDaddy WordPress Hosting – Domain Setup"
THIS WAS AMAZING! I am a novice and tried to export/import & use duplicating plugins and wasted literally weeks trying to recreate my website on a different godaddy managed WP domain. You saved me! one question: my login name can’t be changed on the new website and it is some crazy wp godaddy name that has migrate in it. is it possible to change? Hi Jessie — Could you send a screenshot please? I’m not sure exactly what you’re asking. You can send it to [email protected], or paste a link here. I’ll see if I can help. I’d reach out to GoDaddy support. 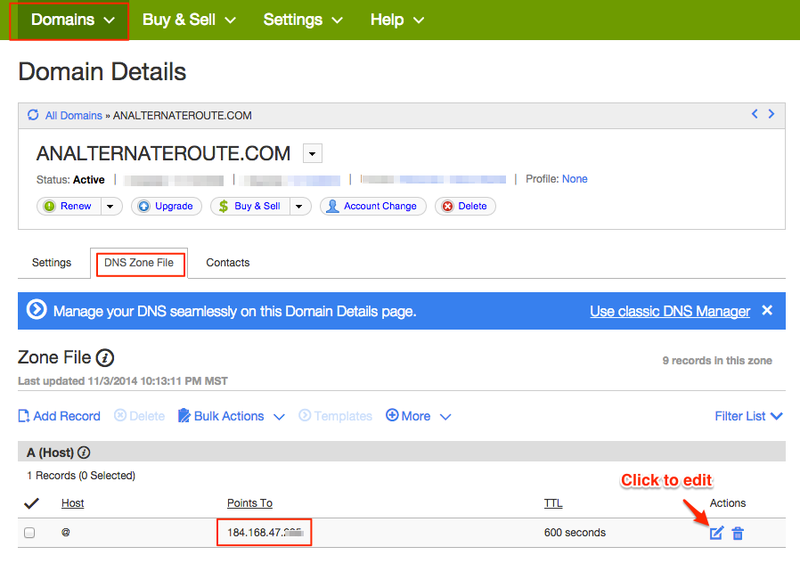 If you purchased both your domain & hosting with them, the DNS and A record changes should work automatically. 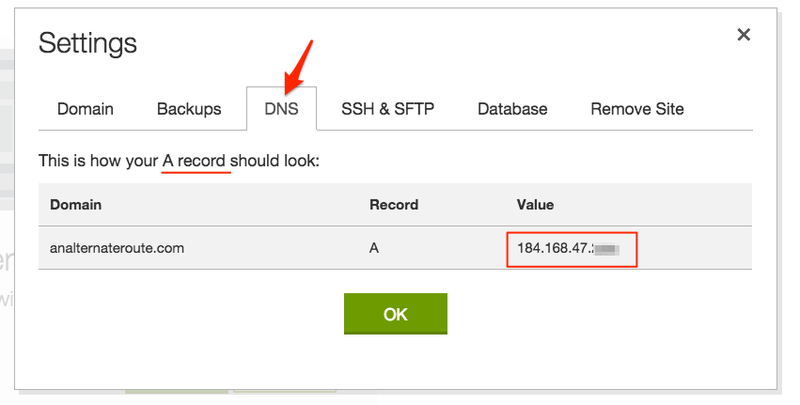 If you’re managing your DNS elsewhere, I would double-check that you entered the correct IP address when adding the A record. This sounds like an issue where the DNS is not pointing to the correct IP. 1. If you can access your /wp-admin/ area, try flushing the cache. Instructions here. 2. If you can’t, another person had success by reinstalling WordPress. If you have not added any content to your WordPress site yet, you can completely reinstall WordPress with no worries. If you DO have content already published, you’ll want to be a little more careful. I would reach out to GoDaddy support first. They should be able to reinstall WordPress for you. Try option 2. GoDaddy’s support team has been very helpful to me in the past. Just explain to them what’s going on (just like you did here with me), and ask them if they can install a fresh version of WordPress for you. can you tell me one thing should I change the nameserver as I use a default nameserver on it. I would NOT change your nameserver. Keep it as the default. I don’t think the nameservers are your issue. Even you previously stated you are confident that you set the A record correctly. I think it’s an issue with your WordPress installation being corrupt (which just happens with electronic files sometimes). GoDaddy’s WordPress installation process is probably all done by a computer program, so it’s possible it just hit a glitch and needs to be reinstalled. If GoDaddy can’t help you at all, and you’ve exhausted your options, then you could look at switching nameservers to a free DNS service, like Cloudflare. But I’d say that’s your last resort. they tell me that wait for 24-48hrs After that my server start. I’ll give you the basic steps below, but always remember that you should have backups of your data (if you have anything there… Sounds like it’s a new site, so maybe there isn’t anything yet). You’ll need an FTP program to gain access to the files on your server. 3. From the fresh copy of WordPress you downloaded, upload all the same files that you just deleted. Thanks a lot for such an informative post! I am learning with this post and this course. Regarding the GoDaddy hosting in the video they only buy the domain in this web. The hosting does it with Hostgator, would there be a problem to have the domain and hosting on different websites? Hi Esther — It’s fine to have your domain & hosting managed with two separate companies. Many people choose that approach. However, I strongly advise AGAINST using HostGator. They are not a quality hosting company. If you are looking for inexpensive WordPress hosting to get you started, I recommend SiteGround. Once you have your domain with GoDaddy and have purchased hosting with SiteGround, the final step is to point your A record (which is found in GoDaddy’s domain DNS settings) to the IP address that SiteGround hosting gives you. If you need help with this, feel free to email me: [email protected]. I can help you set it up for a small fee. I registered my domain name and hosting from go daddy pro yesterday. It’s been 24 hours now. 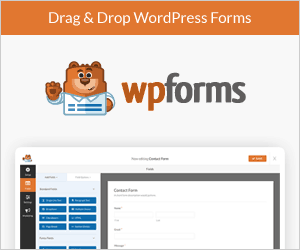 After the payment method, it took me to the WordPress dashboard. It showed me a temporary myftpupload.com address. I logged out of my site. when I open with my temporary myftpupload.com address it is just showing page ok. How can I get back to my WordPress dashboard? Your WordPress dashboard should be located at xyz.myftpupload.com/wp-admin/. Replace “xyz” with whatever your specific temporary domain is.